Got water? Yes, as a matter of fact, we do! Norfork Lake is currently at 579.46 (and the top of Flood Pool is 580.) It’s nice to know what to do in the event of high water, since we’ve been here before, such as in 2008. 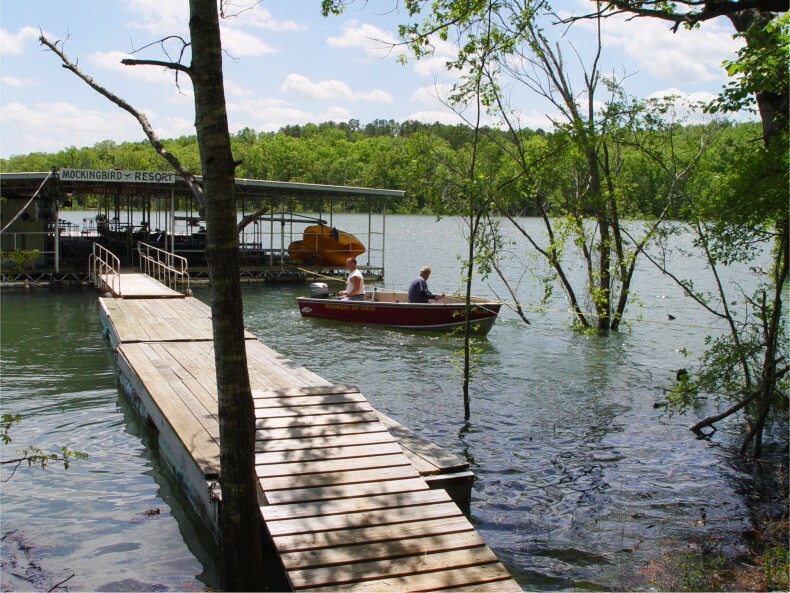 It does make for a lot more work, however, for my poor husband — who had to set new cables out and position our floating barges, and adjust the dock practically around the clock since the lake came up faster than ever this time! This entry was posted on Saturday, April 30th, 2011 at 6:39 pm and is filed under Natural Wonders, Uncategorized. You can follow any responses to this entry through the RSS 2.0 feed. You can leave a response, or trackback from your own site.